There are actually 2 phases of audition preparation. The first is what you do BEFORE you get to the audition and the 2nd is what you do in the waiting room once you are AT the audition. Read the audition sides multiple times. Research the show (read the entire script (if film or theater) if possible, watch episodes of the show (if for TV) to understand the tone and genre. All the basics – where are you, what’s your relationship, where are you emotionally at the top of the scene etc. This is really your opportunity to do a short performance for the Casting Director – I found that thinking of it as a performance helped with nerves. Memorize as best you can, and get comfortable auditioning with the script in hand. Decide what you are going to wear – make sure it fits, it’s ironed, that you can move in it etc. Do NOT dress as the character but make sure you dress appropriately for the character. For example, do not audition for a prisoner in a tie. Pack easy snacks and plenty of water. Auditions infamously run late – and you want to sustain your energy. Pack your script and extra headshots and resumes. Schedule something to do right after the audition – so you can move on and not ruminate on what you could have done differently. Before you leave your home, make sure you have warmed up physically and vocally. DO NOT LOOK AT YOUR PHONE. Once you are in the waiting room – don’t look at it – turn it completely off. Screen time takes you away from being present. There are studies that show that the auditory receptors in the brain start to disengage when all the information is being brought in through the eyes and that it can take up to 30 minutes for your listening abilities to return to normal. Don’t change your crafting in the waiting room. This isn’t the time to second guess what you have worked on – it’s the time to commit fully to your choices. Don’t “chit chat” with the other actors. Be friendly but stay away from small talk. It may be disruptive to other actors and might hurt your focus. Stay loose and be present. Mindfulness is really helpful at these times! While waiting, use your imagination to build the world and environment of the scene. Get emotionally available to the triggers of the scene. This is more important than running the lines in your head another 10 times. The CD wants to know that you can act – not that you can memorize. If the audition is for something small– treat it as such, stay light, and relaxed – no CD wants to see someone brooding over an audition for a one liner. Just be yourself. Smile and show ‘em what you got! Elizabeth Mestnik is an award winning, actress, director and teacher. Elizabeth founded EMAS to bring her New York style of professional actor training to the west coast. 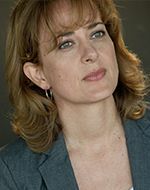 -She received her MFA in Acting from Rutgers University under the tutelage of William Esper, Sandy Meisner’s associate at the Neighborhood Playhouse for over 17 years, and New York’s leading Meisner teacher. It seems like once you take that big step towards achieving your goals, a huge barrier comes between you and your success. And that can take many forms from self-doubt to the unknown pressures you may put on yourself to achieve those dreams. But the question remains: as an actor, how do you handle that sort of pressure? D. L. White, an award winning filmmaker, who has worked in the film and television industry for nearly 20 years, has been asked this question before by aspiring actors who are attempting to make their mark in the industry. His advice is to stop thinking about it. The creative process is a delicate thing, and you’re only going about disrupting the flow of your craft by stressing about things you cannot control, while focusing on what you can improve with rehearsals, research, memorization, preparation, and performance, will produce better and more effective results. White writes that the more you try to control your craft, the more likely you will come across straining the creative process. Simply by letting go, and giving your talent leeway to breathe and grow, you will eventually learn and grow from it also. White gives the example in his article for Actingreality.com of an absurdist play, a form of theater he is not all too familiar with, but where he finds the structured formatting stifling. Only during the more authentic moments of the production, where the actors’ emotions happened to slip through did the play really speak to him. By the end of the performance, White was surprised to find that the things that stood out to him the most were these rare and spontaneous moments of emotion. The human connection that he felt through the player’s acting drew him closer to the scene and dialogue. What also lured him was the authenticity of the moment. By being real, the player was actually able to elicit a truer gift than any contrived monologue has ever done. Join us at Elizabeth Mestnik Acting Studio, located in Los Angeles, to discover your full acting potential. Currently enrolling for Spring classes for beginning actors and those who want to study under the Meisner technique, be sure you don’t miss out on this great opportunity!